I do like an excuse to get baking, as you may have gathered. This weekend it was to feed hungry runners from my run club, after we had completed the Stubbington 10k race on Sunday. 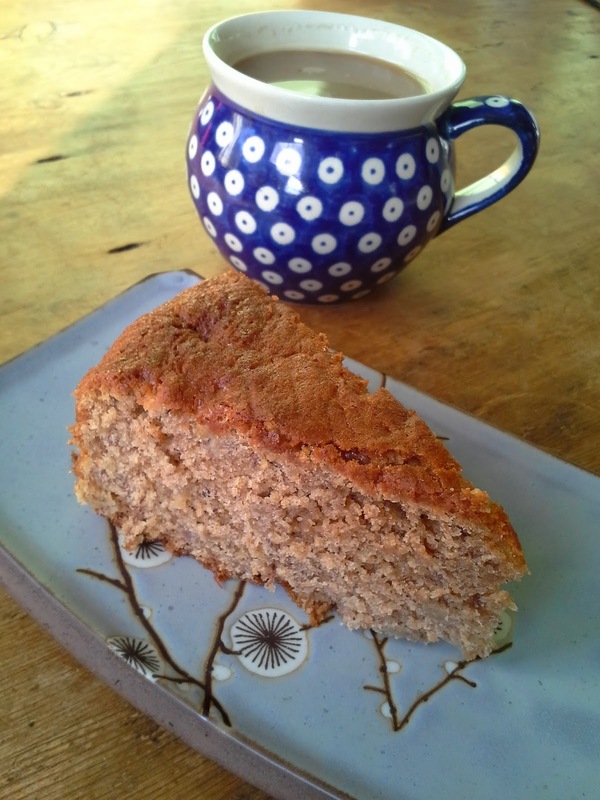 Now being a relatively healthy bunch, I chose to make a banana cake, which would replenish some of the calories burned and use up some rather ripe bananas in the process. I got given 'Scandilicious Baking' a couple of Christmas's ago, full of delicious Scandinavian bakes. One of the cake bakes is a Banana Spice Cake, so I thought I'd give it a go. Its unusual in that it combines 4 different spices in a Banana cake. The result is quite tasty and improves the day after baking, giving a moist, yet healthy tasting cake. Lets say it was well received. Usually I try and blog about recipes which I can link to online. 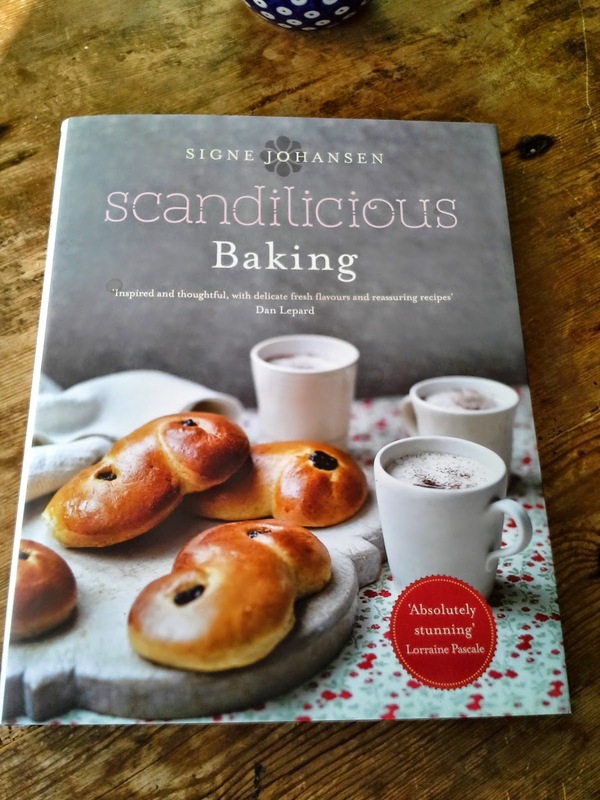 Not everyone has a Scandinavian Baking book right? Well handily enough, I found another blog, where the author had written the recipe out here. Not the most handsome of cakes, but its really just a little different and really rather tasty. Perfect with a cup of coffee! I didn't have spelt flour, so just used plain, as per the suggested alternative, plus I used half fat creme fraiche and chopped hazelnuts instead of walnuts. 170c static oven for 45 minutes. Here's another something spicy to brighten up a winters day. 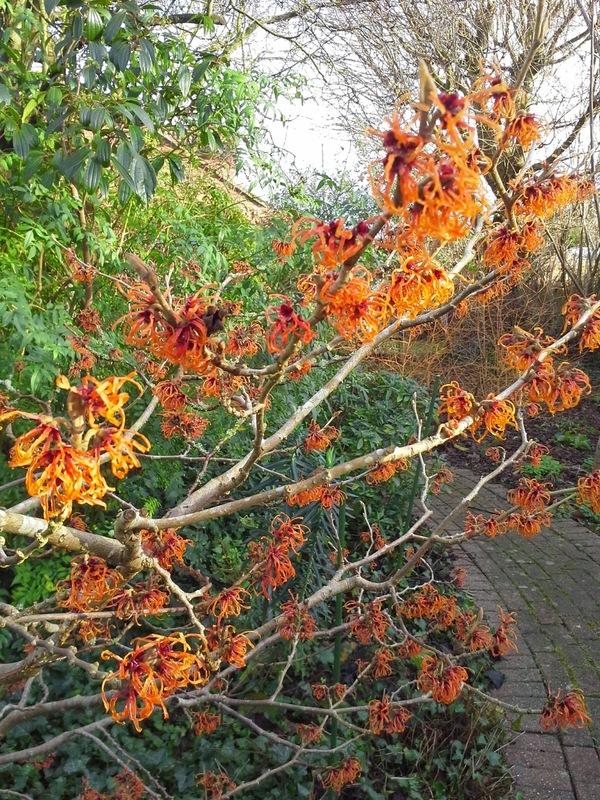 Hamamelis, also known as Witchazel, also has a spicy scent and is in full bloom in a West Sussex garden at the moment. My Cup Of Tea Socks - The Knitting Mojo Returns!